Trewinnard Manor, near St. Erth, is renowned for its association with four families, the Trewinnards, the Mohuns, the Hawkins and the family of Sir John and Lady Nott, the present owners. Once an important medieval site and courtyard house, it was rebuilt as a charming country house at the end of the 17th century. This comprehensive book examines the earliest history of the area, including the formation of the parishes and local church. The architecture, the lost chapel and the rise and fall of the families and their business interests are all described. 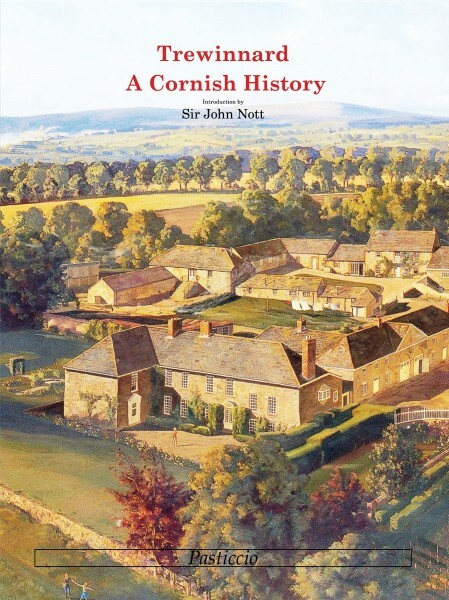 Other chapters that will interest the reader include the early development of gardens in Cornwall, the famous tapestries, the Trewinnard coach and early roads and so on. Re-issued as a Softback 190mm x 247mm.